SANDY BEACH! This cute cottage has 60 feet of lake frontage on all-sport Finch Lake. 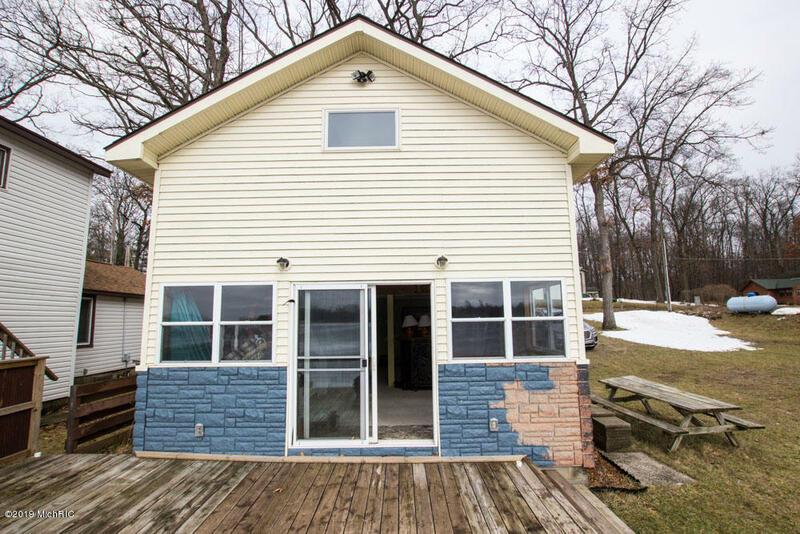 This home offers excellent views of the lake. Living room has cathedral ceilings and a sliding door out to the huge deck. A new cement seawall was recently installed. The extra large kitchen has a dining area. The den/study is currently being used as a 2nd bedroom. The upstairs loft features a master suite. There is an extra lot with a nice 24X40 pole barn for storage. This is a very affordable way toget on a great lake.